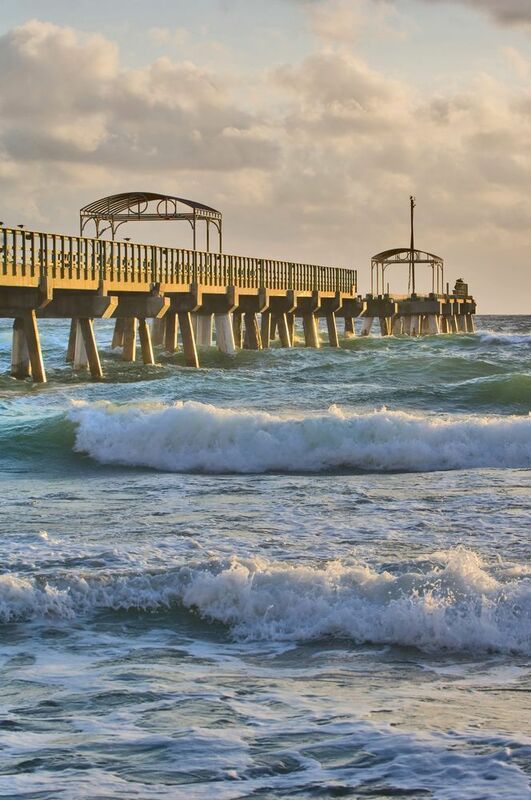 Check out these great Lake Worth real estate listings or scroll down to read about Lake Worth, view demographics and learn about Lake Worth schools. Call (561) 322-3330 to speak to a Lake Worth realtor now! Check out the latest Lake Worth statistics available, including crime rates, cost comparisons and population growth. Call (561) 322-3330 to speak to a Lake Worth realtor and specialist now. Lake Worth is located in Palm Beach County. It is north of Lantana and south of West Palm Beach. Lake Worth consists of 6.46 square miles of which approximately 5.64 square miles are land and .86 are water. The original developers proposed to name it Lake Lucerne, but there was already a Lake Lucerne in Dade County. They decided to give it its current name and name a main street Lucerne Avenue instead. It was incorporated in 1913. Originally, the developers offered very small lots in the city to purchasers of agriculturist lots west of the city. In 1919, a wooden bridge was built over the lake for automobile traffic. Shortly after that, the first casino and beach complex were built. The city has experienced serious downs due to hurricanes and the great depression. It has also had serious recovery points due to public works projects and land booms. Today its downtown area is full of art galleries, shops, restaurants and bars. Its main street, Lake Avenue, is home to the Lake Worth Playhouse. The city has a public swimming pool, multiple parks, public library, historical museum, golf club, William O Lockhart Municipal Pier and the casino building and beach complex. While there is no gambling in the casino building, it is a beautiful place to visit. It has breath-taking views of the Atlantic Ocean and is a popular location for weddings, birthday parties and other special functions. The city is about 8 miles away from Palm Beach International Airport and about 45 miles away from Fort Lauderdale-Hollywood International Airport. It is lovely place to visit and a great place to live. Call (561) 322-3330 to speak to a Lake Worth realtor and specialist about Lake Worth homes for sale, commercial and investment property, Lake Worth real estate and rental apartments or scroll down to learn about Lake Worth schools, statistics and demographics. Use the links below to explore Lake Worth homes for sale and real estate in these great Lake Worth communities or call (561) 322-3330 to speak with an Lake Worth realtor. Our professional RE/MAX realtors are standing by waiting to help you now. Use the links above to view homes for sale in these Lake Worth communities or call (561) 322-3330 to speak with a Lake Worth realtor and specialist. A professional RE/MAX realtor is standing by waiting to help you. Learn more about Lake Worth schools, complete with school ratings and contact information.